Joseph Guillermo Jones II (born July 15, 1976), better known by his stage name Jim Jones, is an American rapper and original member of The Diplomats, also known as Dipset. He is Co-CEO of Diplomat Records. 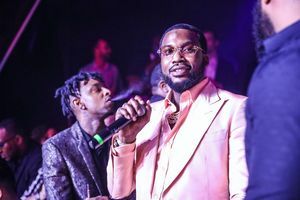 Jones is also a noted video director under the name of CAPO, for artists including Cam'ron, Remy Ma and State Property. In 2004, he released his first solo album On My Way to Church. The release of his second album, Harlem: Diary of a Summer in 2005, coincided with Jones landing an executive position in A&R; at E1 Music. A year later he was on his third album which spawned his biggest single to date "We Fly High". In 2006, he formed his own rap group, ByrdGang. He also has his own freestyle inline skating team, Dipskate, which he plans to take to the X Games in the near future. 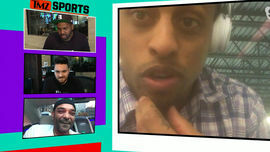 Jim Jones has recently partnered with Damon Dash to form Splash Records. On April 5, 2011 Jones will release his 5th studio album Capo. 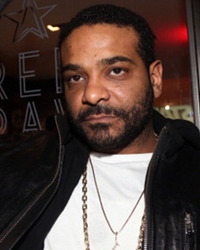 Jim Jones is from the Tremont section of Bronx but raised in Harlem. NY Giants Signed Lineman From My Arena Team!! Street Brawlin' Over Fan Photos!!! MLK Jr. Super Bowl Ad Wasn't a Diss ... It Was Educational!!! Offer From Jim Jones: Join My Arena Football Team!! Come At Me, Irma!!!! I'm Stocked On Cap'n Crunch!! !